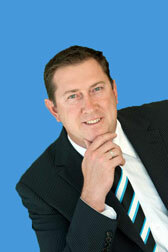 Roy has 20 years experience in the financial industry and loves to share his wealth of knowledge with his clients. His award winning Gold Coast Business is dedicated to helping people create and preserve wealth,protect and manage their risks in life and business and protect his clients future. The key to his success is the personal approach he takes to assist his cilents with a wide range of services and products that you could normally only achieve through a large banking organisation not a family owned business. His focus of setting up his diverse company is to ensure simplicity to his clients in doing business with him, managing all of their products and services under one roof. Roy is extensively qualified to advise clients and has been helping clients make appropriate decisions about their future since 1993. As a result of the professional advice and services he provides, Roy has built a loyal following of satisfied clients and boasts 10 years in business and 5 years in a row nominated for Gold Coast Young Entreapreneur of the Year Awards. His practice continues to flourish thanks to clients recommending him to friends, family members and business associates.